Then I went to AirAsia customer service and the staff told me to proceed to counter V1 to print out the boarding pass. Other V counters are for dropped off baggage, T counters for local flights, U counters for international flights, S counters for premium customers. 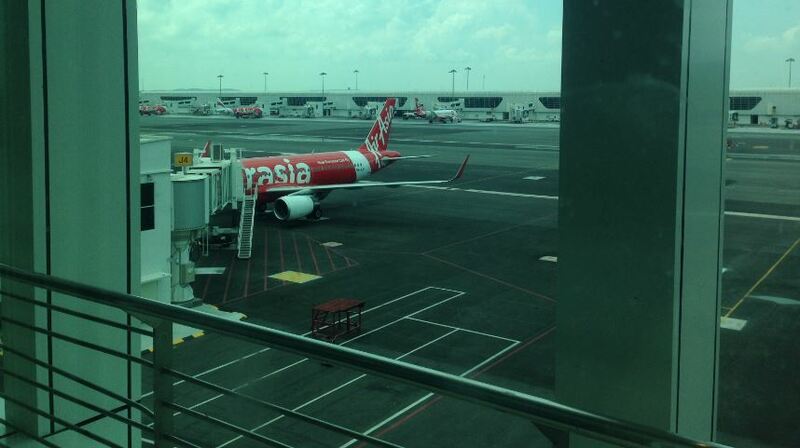 Thank you AirAsia and Malaysia Airports who operate the KLIA2 for offering me such a bad experience and misguidance. 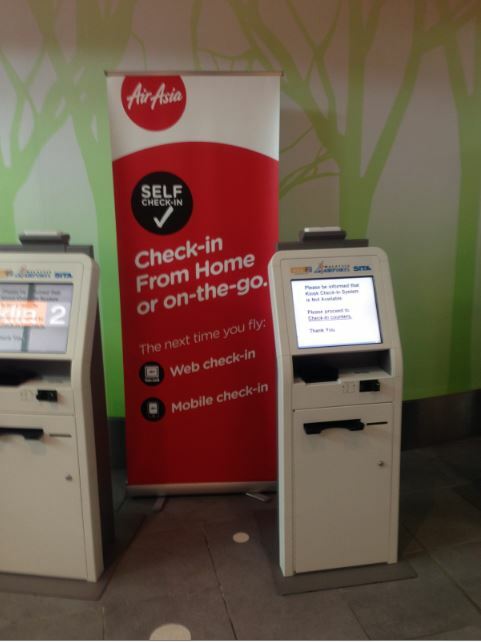 Update: AirAsia staff told that AirAsia won’t have kiosk function in KLIA2 neither now nor future. 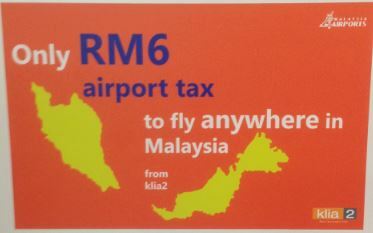 However, some useful information are still available at KLIA2. 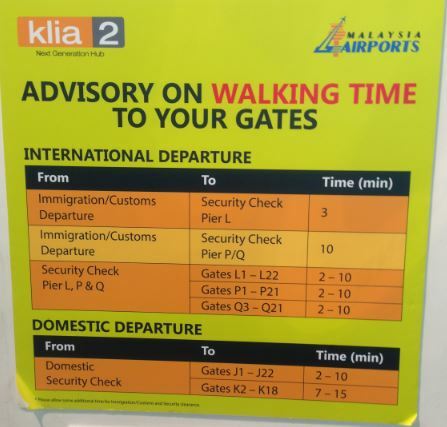 Walking time advice at KLIA2. Flight was smooth but the landing was not good. Captain Dennis and David, please do improve your skills, as I never had such bad landing with AirAsia, Malaysia Airlines, Lufthansa Airlines, British Airways, Austrian Airlines and Air Berlin before. but hard landing is definitely a pain and bad experience for passengers. the first and the last step is what during i am in air asia? 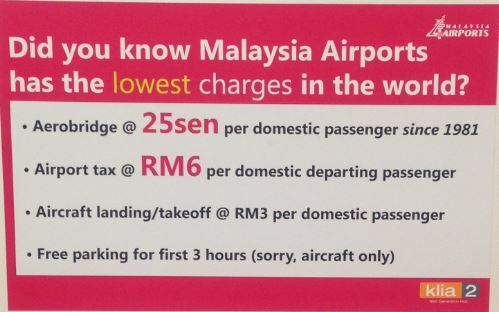 first time flight no experience….. need to do what first? 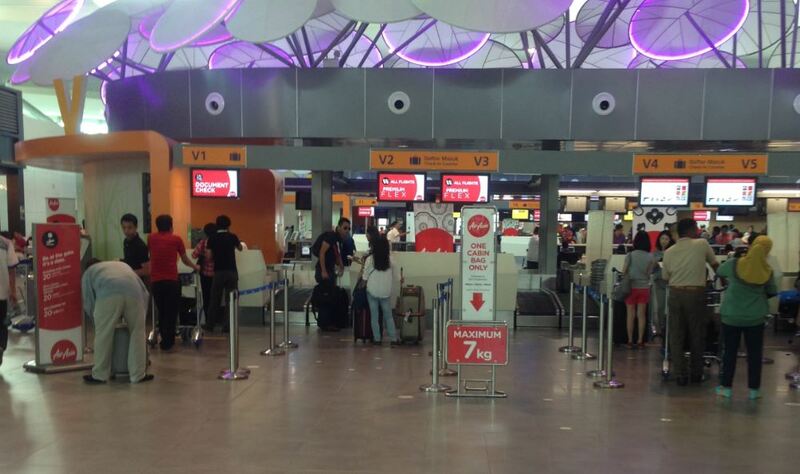 Make sure check in online at AirAsia.com and go to counter to drop off your baggage, if you have. Otherwise just walk to the gate and wait for boarding. Don’t forget to print out your boarding pass as well.